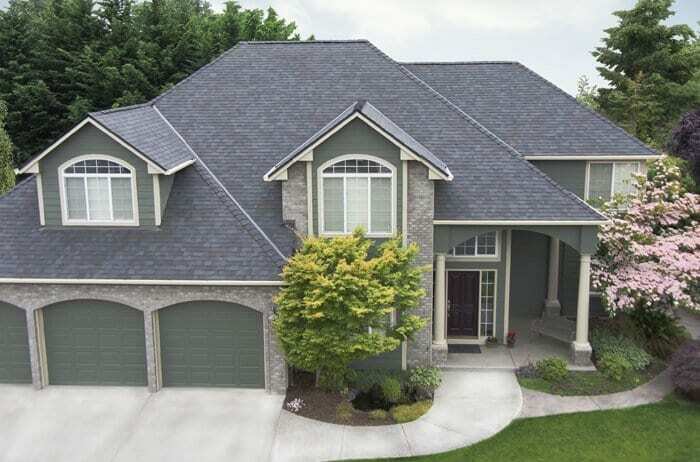 When it comes to Roof Replacement, KVN Construction has the reputation and proven record as one of Portland’s premier Roofing Contractors. We install roofing systems that last, allowing for long term sustainability through a flexible shingle, using proper waterproofing and ventilation techniques. This is the main reason why we’ve partnered with Malarkey Roofing Products and have become a Malarkey Certified Installer. Malarkey is a local family owned company, manufacturing their roofing products in Portland, OR since 1956. They believe in creating long-term value for customers and business partners. Malarkey is constantly innovating by improving new ways to build products with environmental and economic interests while supporting both home owners and local Portland Roofing Contractors through training, teaching and partnerships. KVN is the most trusted Roofing Contractor in Portland partnered with the most trusted Roofing Manufacturer in the Northwest! Malarkey engineers a specially formulated blend of polymers and mixes them with raw asphalt. In turn this makes the asphalt Malarkey shingle highly flexible. This amazing flexibility creates optimal granule adhesion which in turn allows your shingles to last longer. This process promotes for a highly sustainable product that allows for cold weather installations and high impact resistance while at the same time providing beautiful design options. When Algae grows on your roof it causes black streaks, which alters the color of your roof making it look aged. Malarkey applies algae resistant granules on their shingles to help reduce the need to clean your roof and maintain a beautiful aesthetic appearance. Malarkey is leading the industry with sustainable products that help the environment. 3M Smog-Reducing Granules work by harnessing sunlight to photocatalytically convert smog (NO, NO2) into water-soluble ions (NO3), actively reducing pollution in the air. A single roof has the same smog-fighting potential as 2 or more trees. As your trusted Portland Roofing Contractor, we understand how massively important it is to properly install the product you’re paying for. How your shingles are nailed is so important because improper nailing can cause leaks and a failure to your Warranty. Experienced Portland Roof Contractors understand the importance of installing a full roofing system to ensure optimal protection. You must remember that your roof is so much more than just the shingle. KVN Construction applies Malarkeys “Secure Choice Roof System” that consists of 30lb drainable synthetic underlayment, as well as starter shingles, field shingles and ridges. Like all of Malarkey’s exterior home products, you can be sure that by using KVN as your Preferred Installer, the products will be long lasting, endure the elements, and will give your home a beautiful, natural look. Call or Fill out an Online Form today for a free quote!